Penalty goal scored by E. MartÃ­nez! N. Millington is cautioned by the referee. Goal to Carolina RailHawks, scored by Z. Schilawski! The assist came from T. Shipalane. C. Elizondo is cautioned by the referee. 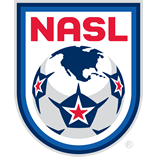 Goal to Fort Lauderdale Strikers, scored by C. Nurse! S. Chin is done for the day. F. Picault is his replacement. E. MartÃ­nez has found the target for Carolina RailHawks! N. Millington is done for the day. T. StÃ¥hl is his replacement. The assist came from C. Elizondo. J. Burt is cautioned by the referee. Aaron King enters play, replacing T. Shipalane. N. Albadawi enters the game and replaces E. MartÃ­nez.